The luxurious and modern Alpenhof Hotel Superior & Spa can be found on a sunny and quiet spot across from the Sunnegga funicular and close to the Gornergrat Train Station in the center of Zermatt. The property features an outdoor hot tub. It has comfortable and spacious rooms, all with a bathroom and a minibar. Some also have a balcony. A wide range of additional spa facilities is at your disposal. These include a large indoor pool, a hot-tub, a sauna, a tropical shower, a beauty center and much more. 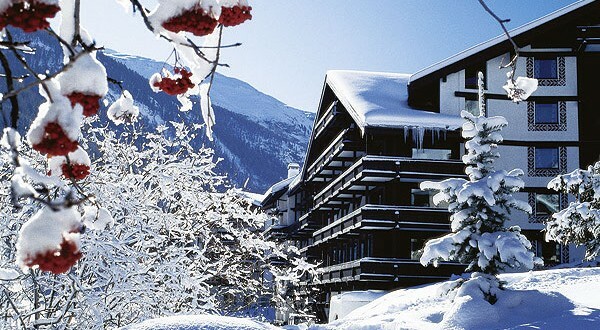 Taste fine Swiss and international cuisine in the Alpenhof Hotel Superior & Spa’s award-winning Le Gourmet restaurant and end your day of skiing or hiking in the cozy bar, which has a fireplace.